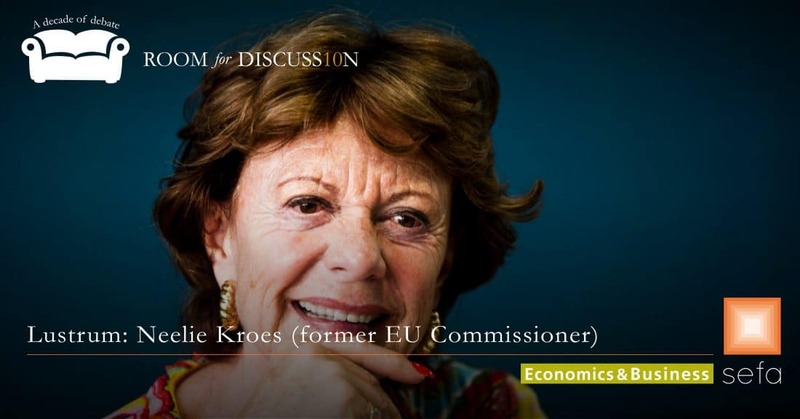 For our second lustrum session, we will interview the former European Commissioner for Competition and Vice-president of the Commission for the Digital Agenda, Neelie Kroes. The interview will focus on several pressing topics in the Europian Union right know, such as the upcoming populist-nationalist political parties vs the cosmopolitan status quo parties. Furthermore, we will discuss with Ms. Kroes the challenge the EU is facing to keep up with the US and China in the field of high-end technology, for example Artificial Intelligence and Robotisation. Considering this, which institutional reforms are needed within the EU to keep it competitive with regard to other big geopolitical forces and to maintain the wellbeing of its citizen? We will discuss all this on monday the 8th of October from 13.00 – 14.00 hr. Come to the Room for Discussion stage to join the interview!